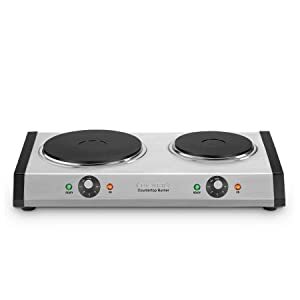 Amazon's Choice for "hot plates for cooking electric double burner"
Save an extra $1.53 when you choose FREE No-Rush Shipping at checkout. 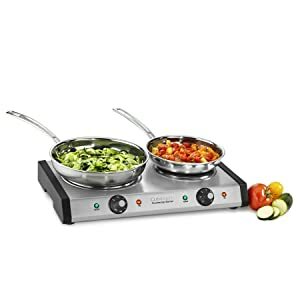 Perfect for parties and holidays, the Cuisinart Countertop Double Burner provides extra countertop cooking options. 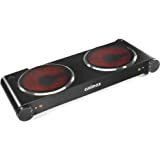 The large plate features 1300 watts of power, and the small plate has 500 watts for quick heat-up. 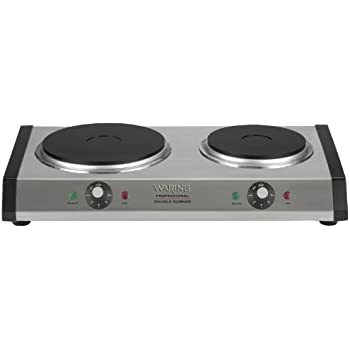 For me this is more of a one or two star product since only one burner is useable, but i gave it 3 considering that the working burner does the job I should have sent this appliance back at once, but since we were in the process of a kitchen remodel, I needed a cooktop ASAP. Overall, I think it would have been fine if both burners had worked properly. From the outset the smaller burner seemed to take much too long to heat. After the first few uses the green ready light failed. The burner still gets warm, but doesn't get nearly hot enough to be useful. 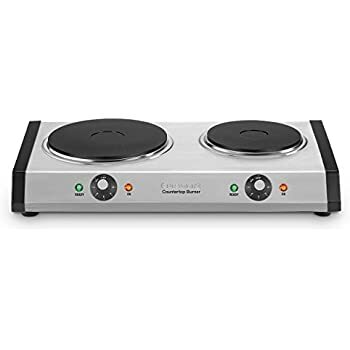 I didn't expect miracles at this price, but with limited space in our makeshift kitchen, it's disappointing to have only one useable burner in the space of two...and at the price of two. 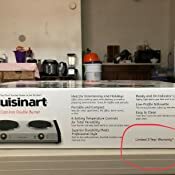 Perhaps I just happened to get a rare defective product, but this has been my experience with this cooktop. 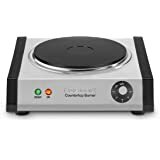 This is perfect as a backup mini stovetop. We had an emergency and had to use the electric mini stovetop for a while. We were shocked at how well the larger burner works! 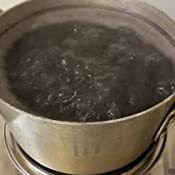 Never boiled water so fast :) The smaller burner is good to keep food warmed up but I do not suggest cooking anything other than hard boiled eggs and pasta. 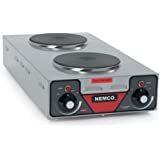 Overall it was a great buy and with its modern look, it feels like a mini version of a real stove. Now, that the return window is closed (only a a month since the day it was purchased). 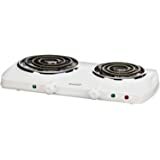 So am I stuck with this broken stove? Please give me an appropriate solution. 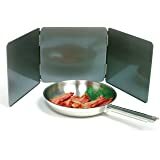 Don’t believe the Top Helpful review on this product, it does not get crazy hot, this is an emergency burner only. 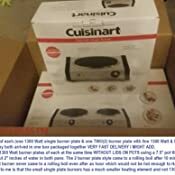 I reviewed all the burners and chose this due to the Cuisanart brand name. This product is Made in China (hence the low price). 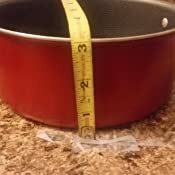 It is 20 inches long, 10 inches wide, 2.5 inches high and has a 3 foot long cord. It is well built of sheet metal. I like the simplicity of it the knobs are thick plastic. The red light shows the burner is on, the green light turns on when the burners reaches its set temperature of 1 - 5. It takes forever to reach the 5 ready temperature. 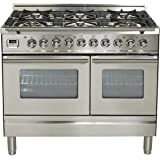 The smaller right burner is just for simmering or warming. This burner is basically half the power of a real stove so it will take twice as long with any cooking. 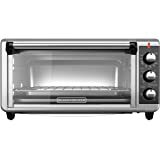 The burner is sturdy and well built of solid sheet metal. 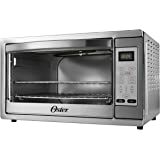 For $75.00 it is a good deal but I think the Ovente double burner for $39.99 is probably just as good. 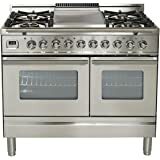 I really wanted the USA made Cado double burner but that is $250.00. 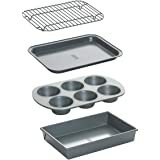 If I had to choose again I would purchase the regular heat coil burner instead of this flat coil burner. 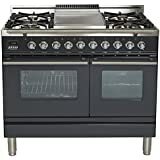 Is it worth the $75.00 until I get my regular stove repaired...yes but do not expect this to perform the same as your regular $1000.00 stove. 1.0 out of 5 starsSo disappointed. 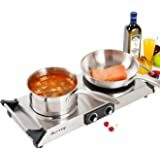 I bought this hotplate to use while my kitchen is being remodeled. 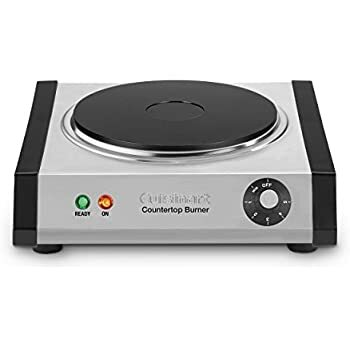 The 3rd time I used it and only 1 burner will work. It's 5 days past when I can return it to Amazon. Got this for my elderly parents & so far, so good! 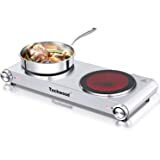 We tried an induction portable cooktop first, but that was too complicated for them. 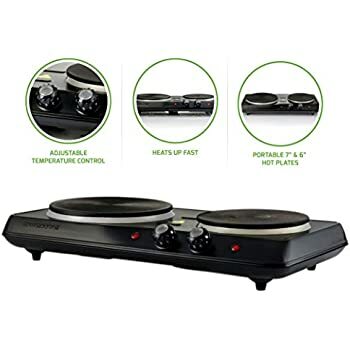 This is exactly what they needed: Easy to use & heats up a lot faster than their last in-counter electric coil cooktop (at least the left burner does, which is primarily what they use). They do all their cooking on this now! Very happy with it. Hope it lasts. Also, some reviews mention how you need to burn off a smell at first; I did so but didn't really smell anything, go figure. 5.0 out of 5 starsBest. Burner. Ever. 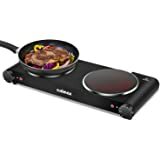 This hot plate is so much better than the one I had before! The larger burner gets really really hot, and I rarely use it above number three. 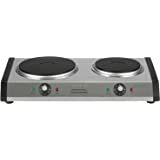 The smaller burner is more like a warmer, but on five it comes close to boiling even thick liquids. 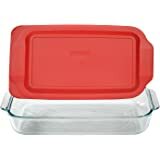 The way the burners are made, almost completely sealed at the top, makes them very easy to clean with no hidden cracks. All of the knobs, the feet, Are solidly constructed and I couldn’t be happier! 2.0 out of 5 starsLasted only 3 months. This was delivered almost 3 months ago to the day and 3 days ago it started to fail and I can't return it at this point. When I turn on the large burner, it automatically blows a fuse. Up until this point, it had been working fine. We're using a temporary kitchen due to construction and had a dedicated outlet installed for the smaller appliances, so I know it's not the outlet.